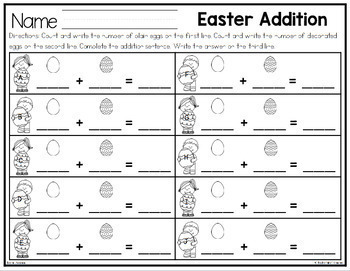 Are you looking for a fun and engaging addition activity for Kindergarten? 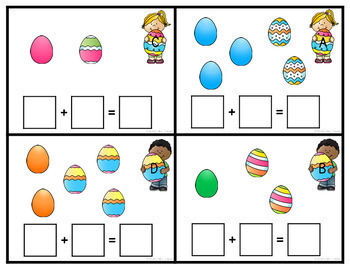 This Easter math center is a fun way to learn to add! 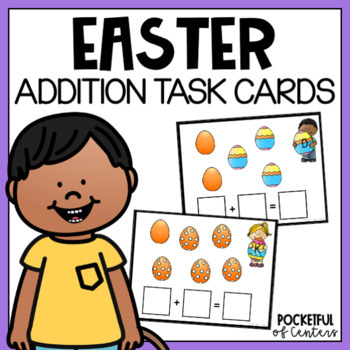 These task cards are perfect to use as math centers, small group activities or for individual practice. 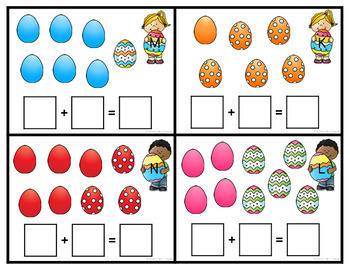 To play, the children will choose a task card, count the eggs, and write the addition sentence. There are also optional recording sheets. There are two levels of learning: sums to 5 and sums to 10.